We are a selling agent, through and through. At any one time over 75% of the properties we are marketing are Under Offer or Sold*. We achieve 95% of our asking price or above on the majority* of our sales and exceed our clients’ expectations. Market Appraisal and Valuation: We provide a free advice service to prospective sellers. Offering a competitive marketing with realistic sales prices, these are based on years’ worth of market knowledge in your area. Mailing List: We have an extensive and up to date mailing list of prospective purchasers ready to receive your property details. Private Sales: There are occasions that you may want to retain privacy with your sale, with “Off Market” sales providing you with the opportunity to sell your home in complete privacy. Sales Particulars: We market your property with unrivalled high-quality details and brochures, including aspirational photography and floor plans. Sales Guide and Techniques: We ensure that you will be prepared for marketing your home by offering our advice on how to present your property to highlight its best features and what will attract the most interest. Browse our Guide to Selling for some inspiration. Reporting: Our sales strategies are dynamic and are adjusted dependent on the market conditions, but keeping you up to date during the process of marketing is key as we can understand the frustrations of being kept in the dark. Advertising: Our advertising reaches an audience both locally and nationally, ensuring that your property is seen by the right person, this is achieved by advertising through the industry leading property portal Rightmove, social media including Facebook, Instagram and Twitter and printed marketing in the Leicester Mercury, Dluxe magazine and various regional magazines. Advice on Conveyancing: We have established excellent relationships with local solicitors, meaning we can ensure the conveyancing process is carried out as quickly and smoothly as possible. A discreet development opportunity located in the sought after East Leicester village Evington. 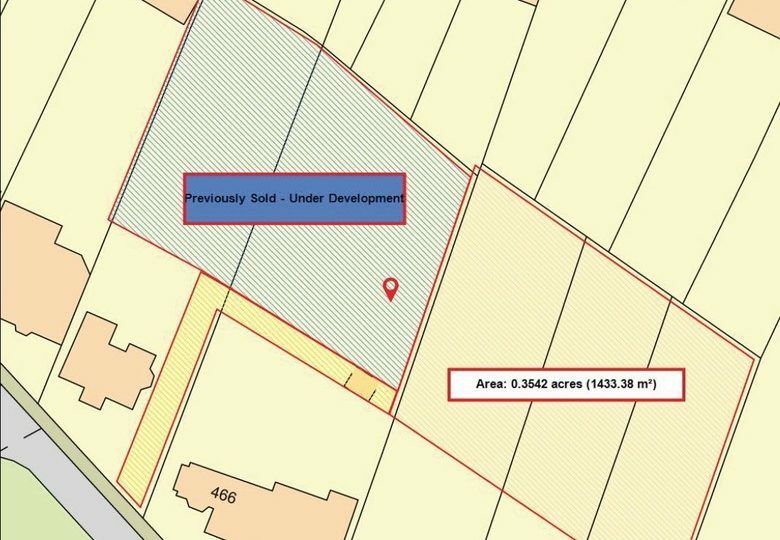 The development has an estimated GDV of £1.5m and will be offered with offers available subject to planning with purchaser input available. A modern and well-designed detached family home constructed by Messrs Morris Homes in 2016 occupying a corner plot and boasting ample living space, four bedrooms with one ensuite, and a detached garage. A extended five bedroom detached family home occupying a substantial plot in the popular area in Melton Mowbray, minutes' from the surrounding open countryside. Offering ample downstairs living, large rear garden, and garage. An extended three bedroom semi-detached family home having undergone recent refurbishment to provide modern living. Offering spacious downstairs accommodation with conservatory, large rear garden, and garage within the popular and convenient village of Birstall. A very well presented three bedroom extended 1930's semi-detached home on the border of the popular Anstey/ Glenfield villages. A country styled finished throughout including a charming extended breakfast kitchen offer ample living space. No upward chain. Early viewings recommended. A spacious 1930's bay fronted three bedroom semi-detached house, situated in the popular suburb of Knighton. This house has been recently renovated including new wiring, heating and general cosmetic upgrades throughout. Sold with no upward chain. A modern Bellway semi detached home situated on the sought after Pioneer Park development, close to Leicester City Centre. The house was built in 2011 and features a modern dining kitchen, living room, three bedrooms and two bathrooms. Off road parking and a garage complete this home. A well positioned three bedroom detached family home in the sought after area of Thorpe Astley lying five miles west of the city centre. Offering a large living room and dining kitchen with utility and master with en-suite. A rear garden and garage complete this lovely home. A well designed semi-detached family home built by Taylor Wimpey in 2016 offering three good sized bedrooms, spacious downstairs accommodation with contemporary kitchen, master with en-suite and garage. Early viewing essential. A three bedroom semi-detached family home offering spacious downstairs accommodation with a living room and conservatory, generous rear garden, and garage within the popular and convenient village of Birstall. An extended, double bay fronted semi-detached family home in the popular area of Braunstone. Offering three bedrooms, large living kitchen, utility, a downstairs shower room, and family bathroom. A generous rear garden completes this home. A modern and well-designed three bedroom semi-detached home constructed by Messrs Persimmon Homes in 2012. Offering ample living accommodation, generous rear garden, and garage in the popular village of Birstall. An attractive semi-detached home occupying a large plot in the popular West Leicester area of Leicester Forest East. Boasting ample living space, modern kitchen, separate utility, three good sized bedrooms and a generous rear garden. A three storey modern townhouse in the popular location off Blackbird Road, close to Leicester City Centre. The spacious home has four bedrooms, two bathrooms, a living room, dining kitchen and separate study. Available with no upward chain.